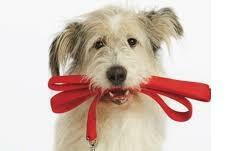 At Dogwood, we consult with owners on a daily basis about behavior and training. Proper training is essential for all pets, particularly dogs, to ensure they are happy, balanced members of the family. Training starts as puppies, from house training to leash walking and basic commands. In general, most owners are perfectly capable of preparing their puppies to be mannerly members of society. However, what if you have a particularly difficult or overly active puppy? What if your adult dog has developed some unwanted behaviors and you feel unable to correct them at home? You are absolutely not alone, and there is help available. I recommend different local trainers on a daily basis. It is easy to go online and randomly pick a trainer that has a jazzy website or to find an inexpensive “puppy class” that promises training and obedience. However, all training programs are not alike. Some trainers are experts in starting show or performance dogs. Some help with anxious behaviors. Others are excellent in young dog manners and socialization. One size definitely doesn’t fit all where dog trainers are concerned. You must be very specific regarding your training goals and take into consideration the temperament of your pet in selecting a trainer. If you want to expose your puppy (after appropriate vaccination) to people and other dogs in a controlled and positive setting, a basic puppy class offered at a high volume pet store may be just fine. These courses, though, are not designed to manage true behavior challenges such as fearful or anxious behaviors. To the contrary, this type of class will likely only exacerbate and worsen your dog’s anxiety. In addition, the trainers for these puppy classes are often less experienced, particularly in the areas of correction and remodeling problem behaviors. For any true behavior problems (fear aggression, separation anxiety, destructive behavior), owners should seek the assistance of advanced trainers experienced in these areas. Selection of the right trainer can mean the difference between success and possible rehoming or euthanasia in certain cases. There are trainers locally which can help manage these types of dogs with much success. There are also veterinary behaviorists which are effective at “reprogramming” certain behaviors. It is important to understand that all training takes time, and any trainer that offers a miracle result is probably not the right pick. In summary, always feel free to come to us with your behavior concerns. We have interviewed, heard client testimonials and in some cases, have first hand experience with several area trainers. Let us guide you to a trainer that can maximize your chances for success!